All Natural Facial and Body Cleanser for Acne, Eczema, Psoriasis, Dermatitis. 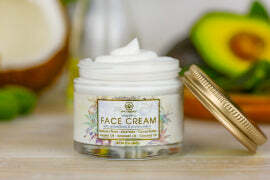 Healing & Moisturizing Face and Body Cleanser with Aloe Vera & Manuka Honey. Our natural face wash is sulfate free and paraben free, plus enriched with Organic Aloe Vera and Manuka Honey to moisturize, heal, nourish, and renew your skin. Its unique hypoallergenic ingredients are perfect for sensitive, dry, and damaged skin for men and women of all ages. Perfectly balanced to your skin’s natural 5.5 pH for optimum health and healing without drying out or irritating your skin. Skin is the largest organ in your body and is as impressive as it is important. Its basic function is to protect the inside from everything outside including bacteria, virus, fungus, heat, cold, and more. It also keeps moisture and nutrients in while getting rid of waste through sweat. You want the best for your skin, but may be harming it with each wash. Skin is naturally 5.5 pH, which is acidic. But even mild soaps are 9.5 pH, which is alkaline. Common bleach is 12 pH. This makes it nearly impossible for you skin to properly heal and repair. Most soaps, even some natural skin cleansers, can make nearly any skin condition worse and in some cases, actually cause them. Our unique hypoallergenic ingredients are perfect for sensitive, dry and damaged skin for men and women of all ages. Perfectly balanced to your skin’s natural 5.5 pH for optimum health and healing without drying out or irritating your skin. Cleanse + Restore is formulated to be the best face and body wash for repairing your skin– perfectly pH balanced, natural and sulfate free. Nourish, heal and restore your skin with each wash for immediate and long-term results. Vitamin E has amazing healing power and can reduce damage to the tissue of the skin. It repairs cells and improves wound recovery, while also strengthening the skin barrier. Used in skincare products, it is wonderful at repairing and improving the quality and feel of the skin. I use this daily and it keeps my face moisturized and soft. This might be a face wash but when my eczema flares up, I use it for a body wash also. It's gentle and doesn't irritate my skin. Love this product and would highly recommend. Service from this company is excellent too! Best face wash I have ever used! I have acne prone and very oily skin and I noticed a difference after using this product for a week. It works VERY well with their moisturizer. The aloe and honey are great for my skin and I will no longer be using the popular 3 step facial cleansers with the harsh and smelly chemicals. Thank you ERA ORGANICS! Era Organics products are the only ones that do not break my skin out. I have very sensitive skin. I use this face wash twice a day. I also use the moisturizer and scrub. 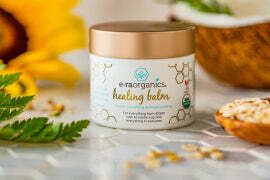 I am so blessed that I found Era Organics. This company has the best customer service you will ever find. Unbelievably the best customer service out there! Thank you so much Era Organics! Vitamin E benefits for your skin, hair, and nails. Can you treat sever eczema naturally? 8 years of eczema treated in days with a few tricks. How can naturally treat seborrheic dermatitis? Natural seborrheic dermatitis treatment you can use at home. Is your eczema cream making your eczema worse? Find out. Can I use this on damaged skin like eczema, psoriasis, dermatitis, etc? That’s why we made it. A lot of soaps and face washes are loaded with chemicals that can irritate or actually cause various skin conditions. 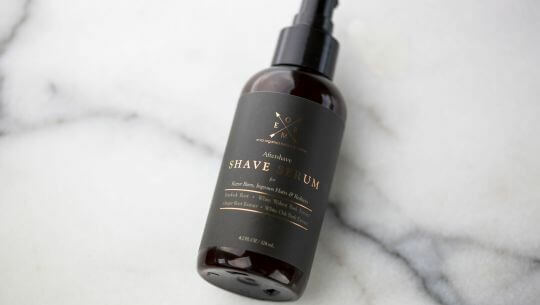 Rather than stripping the skin of vital oils and nutrients, this formula is made to not just wash the skin, but to hydrate, nourish and protect your skin with each wash. Absolutely! 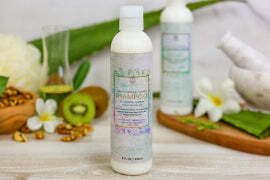 Using a pH balanced cleanser helps balance out skin oils while also providing nutrients your skin needs to be healthy. Plus, manuka honey is naturally antibacterial so helps fight acne and blemishes. How is it different than other cleansers? Similar to our skin creams for damaged skin, this formula uses hospital grade aloe vera, manuka honey and cehami extract—all great ingredients for damaged skin. Can I use this on my kids? Yes the formula is effective yet gentle enough for delicate skin. Yes you can use as a makeup remover by applying directly to dry skin or using with a wash cloth or cotton swap to make it more potent. Your skin is 5.5 pH and is needed to provide a layer of protection for your body from microbes, infection, environmental toxins, etc. But most soaps are 8-10 pH and so weaken the skin and can even lead to uncomfortable skin conditions. We use a coconut ingredient to give it gentle suds but most chemicals used to make soaps foam up are shown to have dangerous side effects for the skin so we decided to avoid them. Does it have any sulfates? 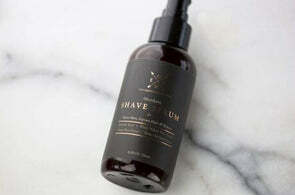 This formula is sulfate free, SLS free, paraben free and non-toxic. Is this just a facial cleanser? No you can use for your whole face and body. This formula was made for damaged, sensitive skin. We always suggest testing a sample for allergies, but people with sensitive skin have seen great results using Cleanse & Restore in place of soaps, body washes and cleansers.